As soon as a boy is born, enormous responsibilities rest on his shoulders, and as he grows older he begins to realize this. The pressure to be successful is real for a man in these parts, because plenty is expected of him. In other words, he is expected to be a super-man. For many men, this is understandably daunting. Nevertheless, If you can nail the few factors I am about to let you in on, then you can be sure your masculinity will never be questioned. 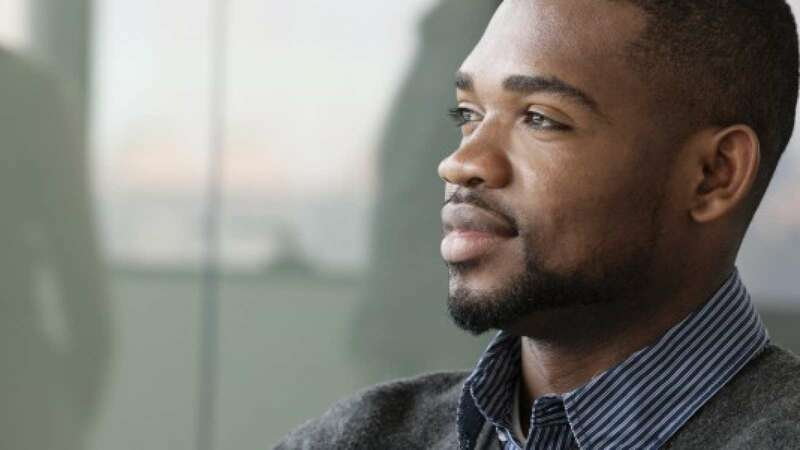 Get rich or die trying: When popular American rap artiste 50 Cents released his debut studio album “Get rich or die tryin” in 2003, it seemed to me that he had the Nigerian society in mind. Even if you don’t read this piece beyond this point, if you take this piece of advice seriously, and end up with “the benjamins” then you can be sure you’ll have virtually all the respect you need. The reality is that the average Nigerian assesses the next person based on how much money they possess. We really don’t care how you made your money. You might be a fraudster, political hanger-on, or obtained your wealth via voodoo – as long you are riding the latest Range Rover, and can shell out a few wads of notes where and when necessary you can rest assured that your street credibility will remain intact. Poverty is a crime in Nigeria. Nobody respects the poor man. Find your way into government circles: Politics in Africa, and Nigeria in particular is big business. It remains a money-spinning venture that must yield profitable returns for those who dare to wade into its treacherous waters. However, the good news is that you can be a nobody, and yet worm your way into the game. All you need is the natural or acquired gift of guile, deceit and most importantly sycophancy. Many have become big boys in a short space of time by possessing these attributes. Nigerian politics welcomes the thief and the slothful. You can be a riff-raff, thug or even better still an ex-convict, it hardly matters. As one who’s recognized within government circles, you’re a god. Traffic gridlocks will be no longer be your portion, as you blast your siren through it. Your children will be given first class treatment wherever they go, and money will certainly not be your problem. You know it already – with money and power comes respect. Be a braggart: In local parlance it’s called “Gra Gra” and among the elites it’s referred to as “Grags.” You see, perception is more important than reality in Nigeria. Everything is all about how people see you. It’s also called “Packaging.” You might be poorer than a church rat, but if you can by some stroke of genius make people believe that you’re rich then there’s no doubt that you will be respected. Many Nigerians are gullible, and can hardly separate the wheat from the chaff when it comes to judging personalities. If you don’t have money, are not recognized in government circles, then you must be have the gift of braggadocio. We see it everyday in a city like Lagos, someone hits your car in traffic, and immediately drops the “Do-you-know-who-I-am” line with as much air of self-aggrandizement as he can muster. He may not have a dime in his pocket, but he knows he needs to employ his bragging skills to intimidate you, as well as get himself out of a tight situation. Needless to say more often than not it works! In Nigeria, you must be an Alan Poser, your very own self-publicist as a man. It’s important if you must gain respect. Be a genius: Now, let’s face it, some will not be rich, nor have the skills or connections to find a way into the corridors of power or even possess the ability to sweet talk or brag their way into gaining respect. For these category of people the only way to be seen as somebody worthy of note is to be a genius. Please note that I said genius, and not brilliant or intelligent. A woman can gain respect by being intelligent or brilliant, but not the man. Life is tougher for you. Arguably. And you must remember that. When you are seen as a genius in the order of men such as Prof Wole Soyinka, Prof. Pat Utomi and the likes, then you can be sure that you will be genuinely respected simply because your knowledge will be required in all sectors of the economy. People from all walks of life will be forced to reckon with you since there are not many like you. Life is generally tough in Nigeria, and arguably more so for the menfolk. But the man who has the above on “lock down” is King is this part of the world. PreviousPrevious post:When Things Go SouthNextNext post:Who Really Belongs In The Kitchen? And a woman thinks she can be boss. They had better start learning to respect us otherwise we give them the treatment they deserve in ‘the other room.’ ???????????? Oh yeah?…Ok o! I’ll leave you to the ladies.